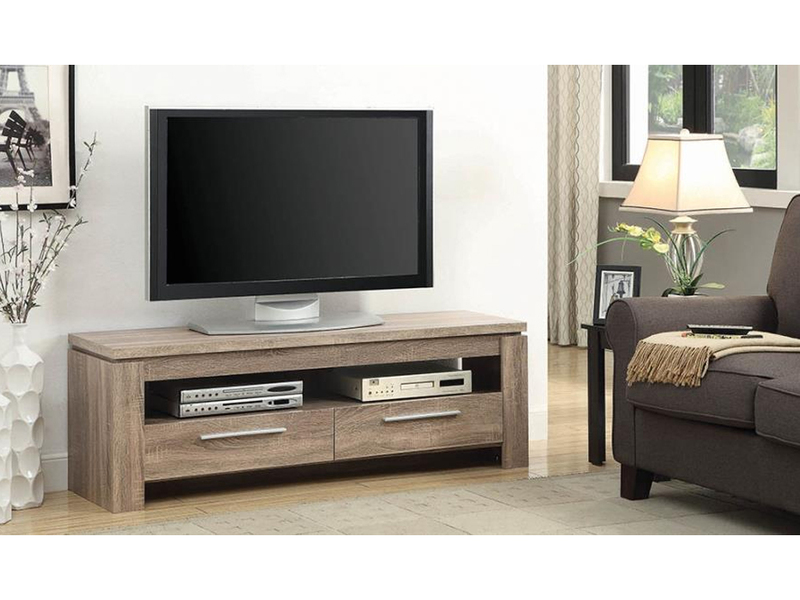 The Landes II TV Stand is a modern piece that will easily matched with all your living room furniture. 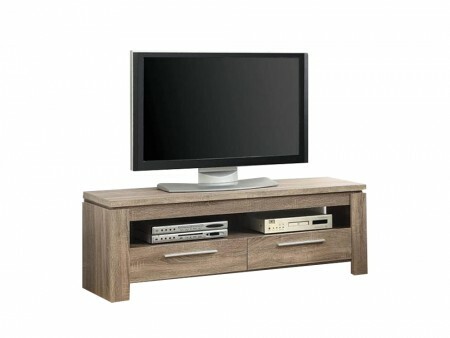 The TV stand has a natural wood finish and a sleek design. It is a pure line rectangular piece with an open space for your devices and two drawers for your items that need to be put away. It accommodates even larger TV screens. Add the Landes II TV Stand to our Living Room Packages for a perfectly curated look. Rent the Landes II TV Stand for the perfect solution to your TV storage needs.